Has your cat or dog been recently diagnosed with cancer? Are you anxious to do all you can do to save and care for your beloved pet, whatever it takes? Read on for some must know tips on how to do the best for your pet (and yourself) in this most difficult time. The news that your beloved dog or cat having cancer can be shocking and heart-breaking. Sometimes, there is little you can do except offer comfort and palliative care to the animal you have loved so long and so well. So much is the onus of the loving and anguished owner who must find the strength to rally for the sake of the beloved animal. The good news is that there are things you can do and great products available to make the experience of dealing with cancer more comfortable and less painful for both your pet and for yourself. 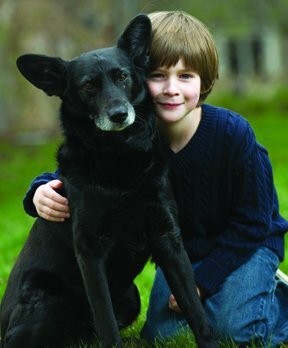 Please know that no pet owner is ever alone when it comes to the terminal care of a beloved pet. The establishment of any protocol by a veterinary team will always be in accordance with the pet owner's wishes about the course of treatment and care. In all cancer treatments, the focus should be on supportive care, which includes the administration of medications, learning to recognize the signs of pain and the provision of adequate nutrition. a pet suffering from cancer. may incorporate their sadness into sensing that they have done something wrong. and for the tender moments spent together. So try to focus on the good things in your life and in the happy moments together whenever you can. Work on having fun with your dog or cat and try whenever possible to avoid brooding and worrying. costs for those in need. Here's a good resources on getting financial help with vet bills for your pet. 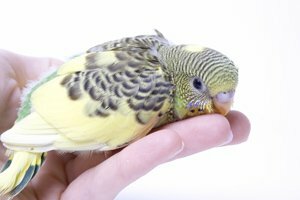 Pay careful attention to your pet to see what type of pain they may be in, so that you can recognize if and when the pain becomes very difficult to handle. In thinking about your pets level of pain and discomfort, keep in mind that there are things you can do to make your pet more comfortable in many cases. 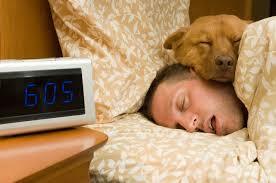 For example, you should think about getting for your pet is an Orthopedic Bed if you can afford it. We have five great orthopedic beds that we recommend here. They can really help make your cat or dog more comfortable when resting. For animals that can benefit from heat, and heat therapies, there are also some great heated products that can keep your pet feel more comfortable. provides a permanent and very important record. If you are someone who does well with organizational apps, there are tons of life planner and task planners that can help with keeping track of everything. Research on cancer suggest that many types of cancer feed on the sugars in carbohydrates, high fructose fruits, and starchy veggies. They do not feed on good fats and proteins. So the goal is to keep your pet’s carb content low while keeping the protein and Omega-3 based fats content high. Here's an excellent guide on what to feed your dog if he has cancer. Here's an excellent guide for feeding your cat if he has cancer. also recommended. 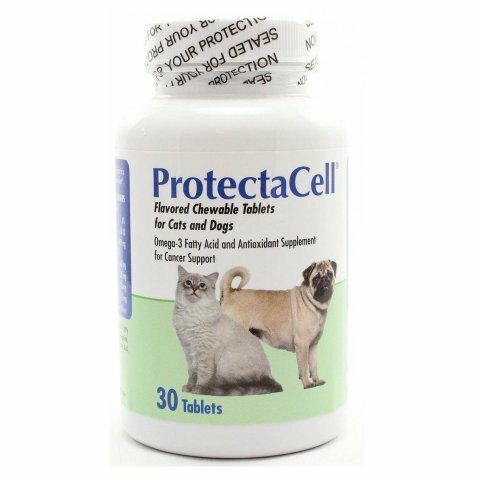 A high quality fish oil is also very often recommended for cats and dogs with cancer. Our recommended fish oil for pets is here. reduce side effects, especially if other medications are causing a loss of your pet's appetite. which only serve to increase undesirable side effects. One of the best ways to manage your pet's medicines and other health details is by means of an app on your phone . There are many to choose from so look around for one that willl work for you. I think Dosecast (originally designed for humans) looks like it can be a very helpful app. I personally find these types of apps more cumbersome than helpful since you have to constantly maintain them So I tend to do things without smart tools, but if you are good at using them, they can be a great help. If you don't want to use an app, you can keep the medicine schedule in your pet care journal. Or use a weekly log for medicines. 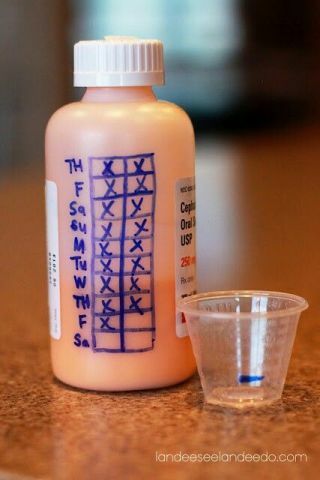 A good way to keep track of medications is to use eraseable markers. 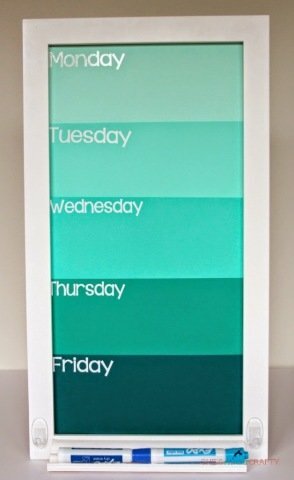 Just pick any convenient mirror or glass in your house, or an empty photo frame, to create a medicine schedule for the week and use your erasable marker to note when medicines were taken. Of course, you can also use a traditional erase board like this erase board. Just find a something that will make it easy to jot down info and keep track of things. Another good tip I've seen around the web is to use a marker on bottles for medicines taken. If the bottle is hard to write on, just grab some paper and tape it to the bottle to write on or use white masking tape to write on that. I often paste white duct tape to the bottom of bottles and use that to keep track of my medicines as needed. One of my favorite tips for giving medicines when someone is sick is to set up a medicine basket. Just get a small basket that is easily portable, fill it with the medicines needed as well as the medicine board to keep track of things, along with all the other items that will be handy for the administration of medications. Portability permits you to move all necessary care items in one place. 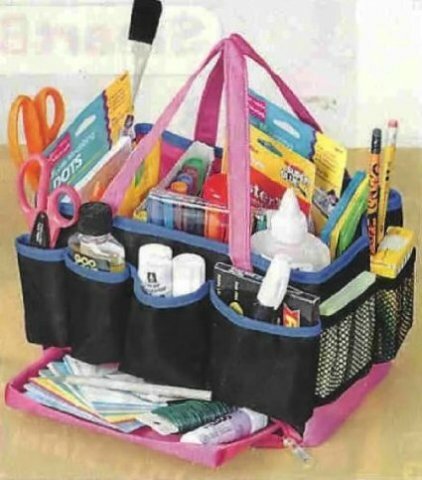 You can use almost anything, although I prefer an organizer caddy with lots of pockets like this one. For giving your pets medicine, if you need to feed them pills, Pill Pockets to help cover up the pills will be very useful. 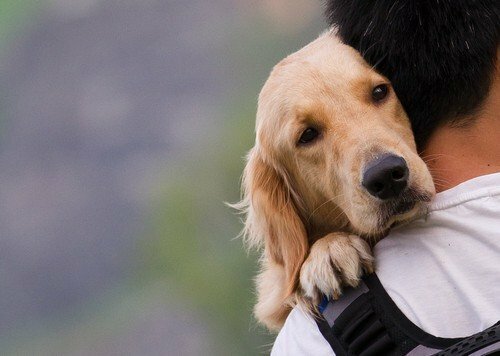 Pets can feel anxious when visiting doctors or doing things that cancer treatments require. Set up rituals and habits that can help ease your pets anxiety in stressful situations. (We have tips here for calming dogs which may be helpful.) One item to consider if you need it is a Thundershirt. These are pressure vests for dogs that do a remarkable job reducing stress and anxiety for many dogs in stressful situations. There are also calming sprays and pills available for cats and dogs that some pets may find helpful. Giving needed care to a sick or dying pet can be extremely stressful. It can also be surprisingly challenging in terms of just logistics and the burden on your physically. Remember that taking care of your pet means first, taking care of yourself. There are some really terrific products out there that can make caring for pets at home much easier for you and your family. So if you find yourself feeling weighed down by a particular challenge, go and see if there is a solution. There are really great products available to help make giving proper care to your pet as they decline in health much easier. Of course, none of these are absolutely necessary to take proper care of your pet. These are just some helpful ideas if you are looking for excellent products that can help you. As I had mentioned before, for cats, I would think about the heated cat bed we recommend since your cat will be much more sensitive to the cold. You may also want to consider some of our other favorite cat products. For dogs, in addition to our favorite dog products, there are many more products available that you may find helpful in caring for your dog. One of the items I highly recommend is getting an indoor dog potty. It will add a lot of flexibility and create less stress on both of you if your dog needs to go and you are not around to help. Here are the top 5 best indoor dog potties we recommend. In addition, for dogs that have mobility issues, it is important for as long as possible to keep them moving and engaged with the world. 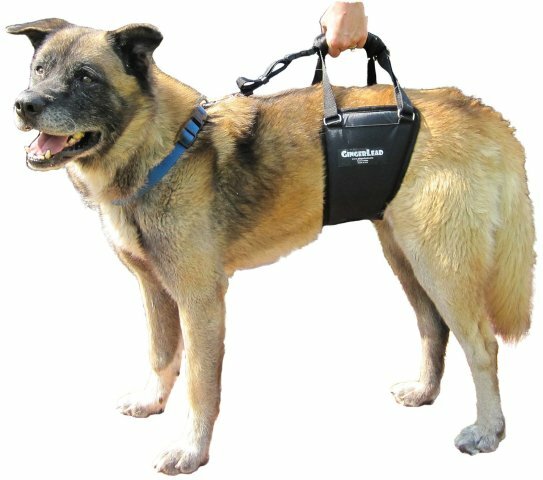 There are some terrific mobility aids for dogs that can help you keep him moving as long as possible. If your dog is ill, he will be much more sensitive to the cold. 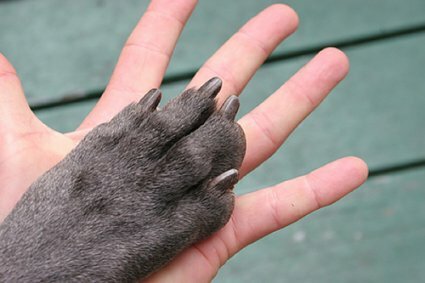 If you have cold winters, pleasemake sure to keep your dog warm when they are outside and to protect his paws properly. Here's great tips on Choosing A Winter Coat For Your Dog and Protecting Your Dogs Paws. 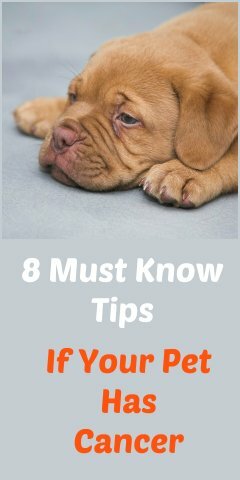 I know that there are a lot of ideas and tips in this article and the whole challenge of taking care of your pet with cancer can be overwhelming. But know that there are definitely things you can do to help your pet and yourself through this difficult time. "a golden sky and the sweet silver song of a lark."